The stock out-front mount works well and frees up valuable bar space for lights and a cue sheet holder on MG’s Dirty Kanza XL rig. The Bolt was designed to be the world’s first aero GPS bicycle computer. While I can’t independently verify Wahoo’s aero claims, I love the look and functionality of the Bolt. Its integration with the out-front mount is top notch, and the screen is clear and easy to read in any light. Wahoo Fitness also did a great job with the user interface of the Bolt. It’s a computer I can simply turn on, hit ‘start’ and ride out the door. When the ride is finished, the data automatically syncs with my phone, provided it’s connected via Bluetooth. It’s reliable enough that I often don’t bother to look to see if rides have uploaded. I like that a lot. The app-based setup is seamless. Screens and settings are generally easy to set up and/or customize. I’ve also had good success with the Bolt’s navigation, overall. Mostly due to the fact that I’ve been riding gravel since before GPS cycling computers existed, cue sheets have always been the gold standard for me. Navigation is a feature I’ve typically shied away from with other computers, primarily due to battery life concerns. That said, in the interest of testing I went sans cue sheets for two recent events, instead relying solely on the Bolt’s navigation to get me to the finish line. 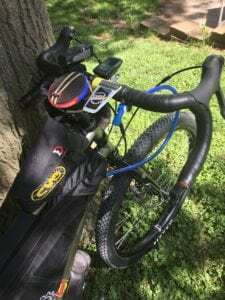 The included bar/stem mount doesn’t integrate as cleanly as the out-front mount, but it’s a good option for cyclists who need to charge the Bolt on the fly. Prior to the first event, I downloaded the GPX file from the race website and easily uploaded it to the Bolt. Good so far… On race day, everything was working great for the first few corners, but then things went a little haywire. I later learned that the event promoter had uploaded last year’s route, so without cue sheets, I basically had to wing it from a navigation standpoint. It wasn’t the Bolt’s fault, but the experience was enlightening. 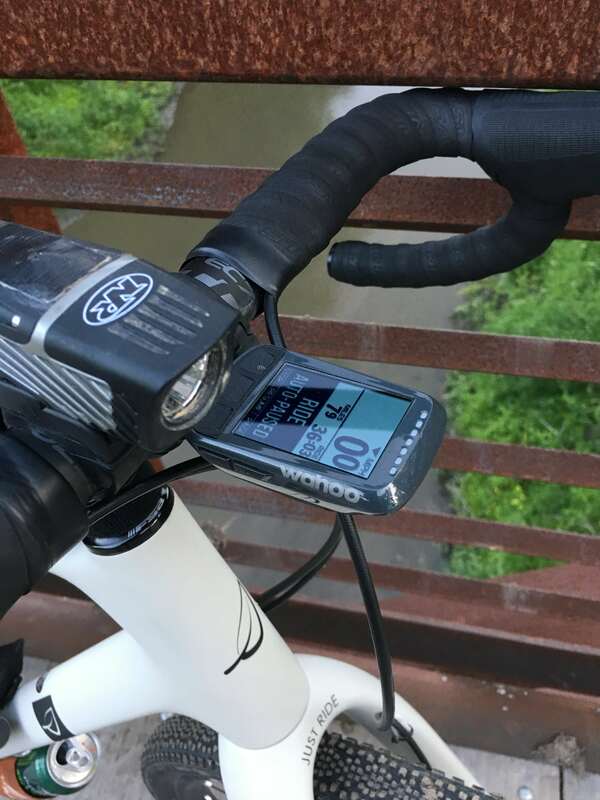 Fortunately, there were two other Wahoo Elemnt users ahead of me on the course, so I was able to navigate the course by tracking their progress on the Bolt’s navigation screen. Long story short, the Bolt’s ability to track other riders saved the day for me. In this situation, the ability to quickly zoom in or out on the map was a big help in keeping me in the race. After making sure I had the correct GPX file for the second event, I successfully navigated the course without cue sheets. Everything worked seamlessly and I rode the entire 105 mile course without a single wrong turn. I have to admit, that’s a first for me. But the experience sold me on the virtue of running the Bolt’s navigation during events, even if I’m also using cue sheets. Battery life has been consistent with Wahoo’s claims (up to 15 hours of use between charges). Also, using navigation on the Bolt doesn’t seem to drain the battery as quickly as it does with other computers I’ve used. At the finish of the 105 mile race referenced above, I had 45 percent battery life at the end of the 6.5 hour long event, and navigation was running the entire time. The Wahoo iPhone app offers reminders to charge the Bolt after rides, which has proven helpful. The form factor of the Elemnt Bolt compliments modern gravel bikes such as the Lauf True Grit we’re currently testing. Detail of the clean integration between the Bolt head unit and mount. Overall, my experience with the Wahoo Elemnt Bolt has been excellent. 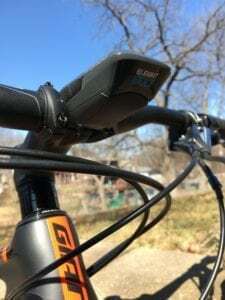 It’s the most reliable and easy to use GPS cycling computer I’ve used to date, and the sleek, compact design looks good on virtually any bike. While I can’t conclusively speak to the long-term durability of the Bolt, it’s been solid so far, and the $250 MSRP is competitive in the marketplace. I think Wahoo Fitness is onto something good with the Elemnt Bolt cycling computer, and I intend to continue using it through the summer. I’ll report on any additional findings, and summarize my overall experience with the Bolt in my At the Finish review to-come soon. 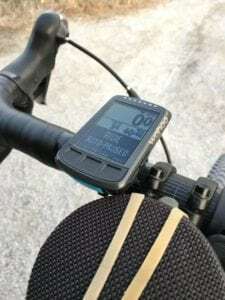 NOTE: Wahoo Fitness sent the Elemnt Bolt for test and review at no charge. We were not paid nor bribed for this review. We always give our honest perspective and opinion based on our actual experience with the product. Matt – your experience mirrors mine (although I don’t have the 350-mile ride obvi). I’ve always been a cue sheet and map guy, so I thought the navigation on the Bolt was a nice bonus but didn’t figure I’d use it much. 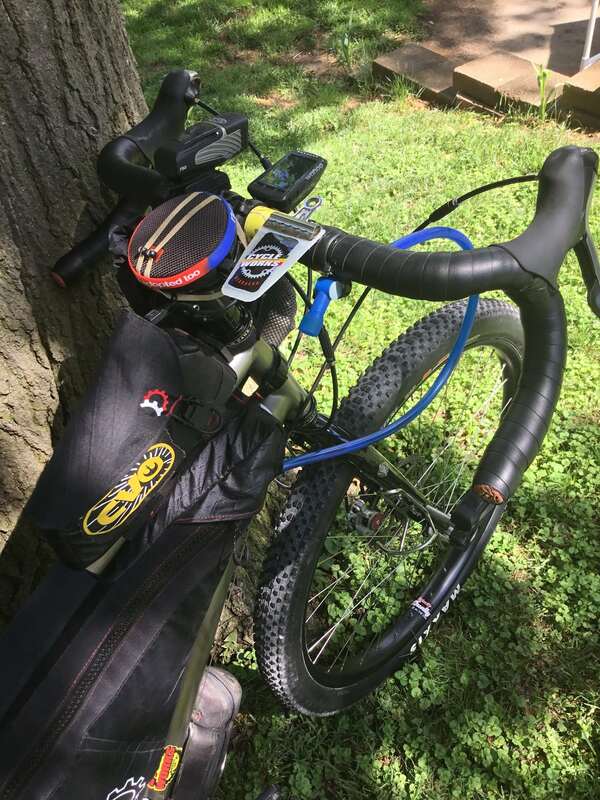 But then I showed up to a race last fall and realized I’d forgotten my cue sheets — the turn-by-turn nav on the Bolt didn’t let me down or have any issues the entire 125-mile race. I’m a convert – I still have cue sheets as a backup but I let the computer do the work now. Slightly OT — did you do a race recap of your DKXL experience anywhere? Thanks for the write-up. I’ve been a big Wahoo fan since the Garmins around me had issues with an on-course reroute @ DK200 2017, but my Wahoo didn’t miss a beat. Any comment on where you sourced that right-angle cable from? I get nervous trusting cheap cables to charge devices I depend on from my dyno. BTW, congrats on the DKXL. 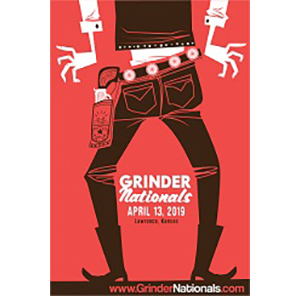 It was a hell of a thing watching you all head ride out from behind the shop. Thanks guys. That’s good perspective. The DKXL was an awesome experience. @Jroo, I’ll be writing about it here on RidingGravel.com. I’d hoped to get it done by now, but I’m hopeful to have it posted soon.